We design modern themes and layouts that will help you, designers, developers and companies create websites for their business quickly and easily. All our themes are responsive. Our Divi designs are innovative, different, and you can import them in seconds..
A theme with many configuration possibilities, a classic design for a modern web. A modern theme with spectacular effects for your website. Is a modern, sophisticated and elegant WordPress theme designed for you. is a beautiful and elegant WordPress theme best suited for creative professionals. 12 easy editable Instagram Stories. Every story is professional designed. With these stories you can easily upgrade your Instagram in a stylish and professional way. Engage your follower on instagram using our beautiful template, carefully crafted for instagram. Increase the reach of your Instagram Stories with this bundle, created to make your social network more professional. Each theme is a full website all ready to go, add your content and your new site can be up and running in no time. Or customize further to make it your own. Generate more leads and sales using a professional site with the capability to simply update & manage on your own. Start building your dreams. Divi is developed extremely well. So it’s fast, flexible and rarely causes any kinds of conflicts. It works well, can do just about anything, and is solid. The best for a good SEO. 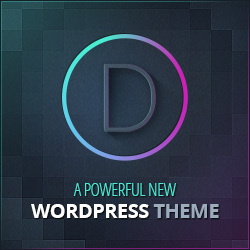 Discover and get the Divi Theme from the Elegant Themes website. Subscribe to our newsletter and you will be informed of all the latest news from duritzHTC Design. You can take advantage of discounts on our topics, news, offers, and everything related to the world of Divi.